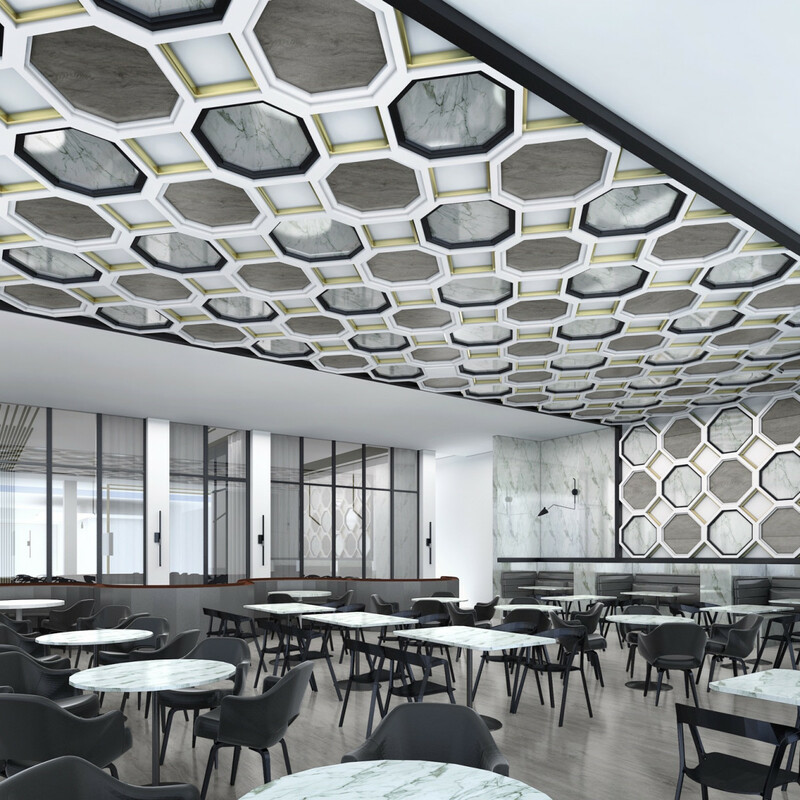 One of the Galleria's most popular lunch spots will be making some big changes in 2016. 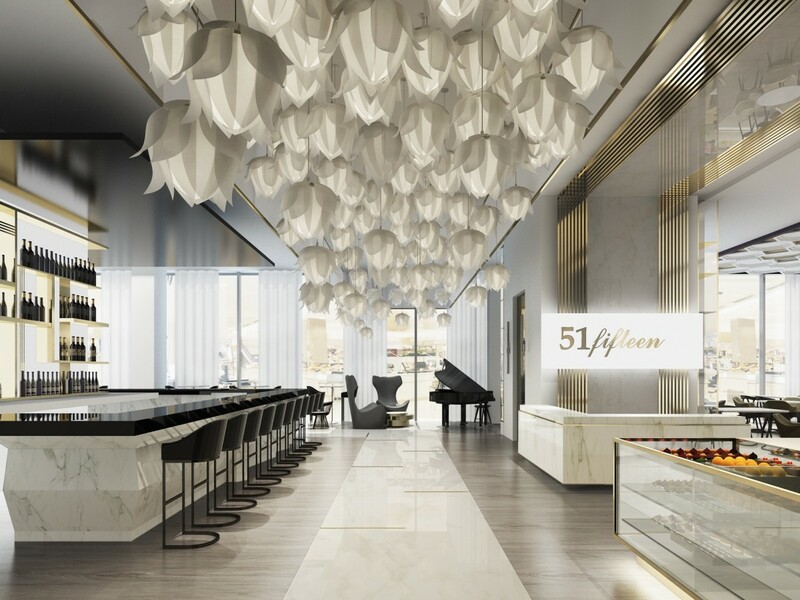 As part of the renovations that will see Saks Fifth Avenue relocate to a new, two-story, 210,000-square-foot store, its restaurant 51Fifteen will have a new home, too. 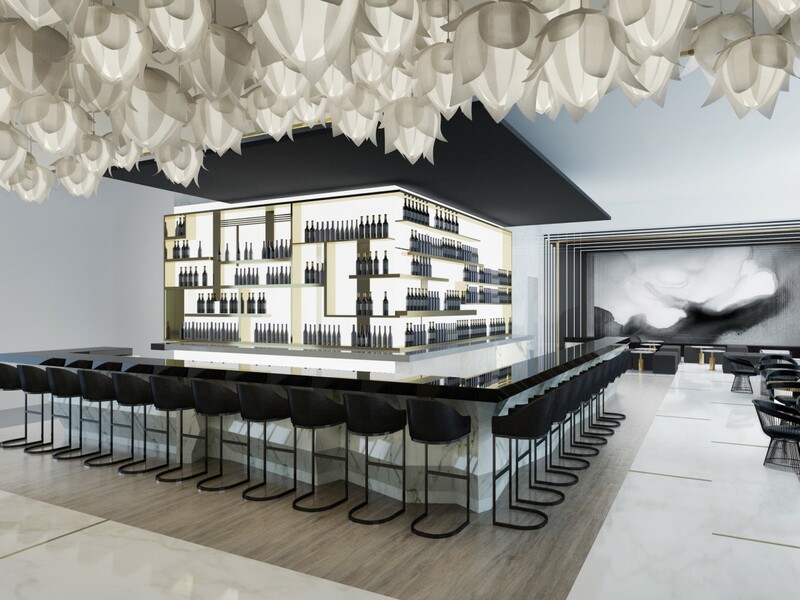 Owner Landmark Hospitality Group announced some of the details for the space starting with a projected opening date of April 28 (the current location will close April 20). 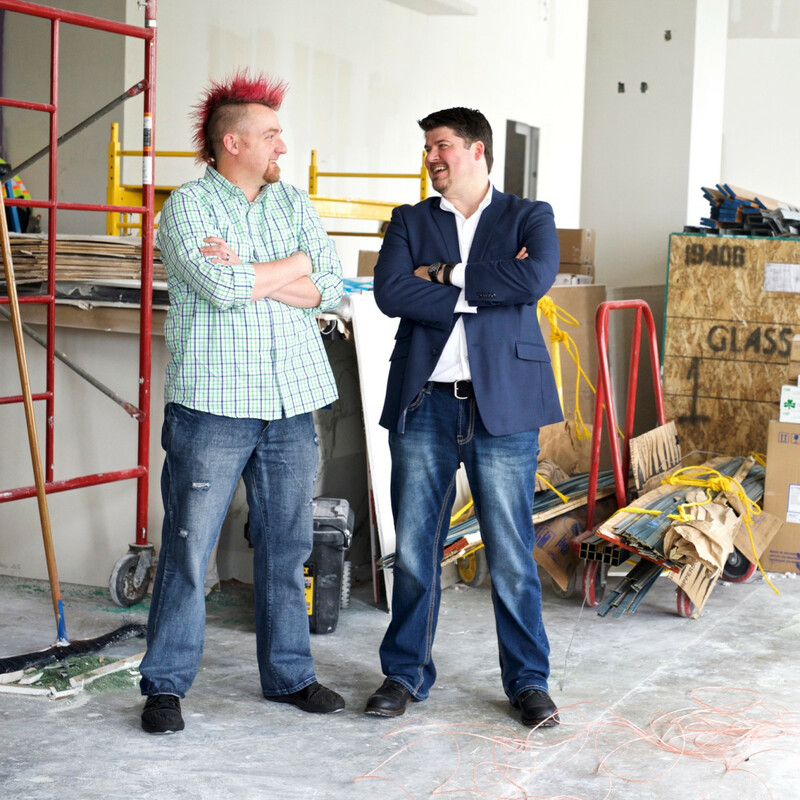 At 9,800-square feet, the new location dwarves the current restaurant's 5,700-square feet. 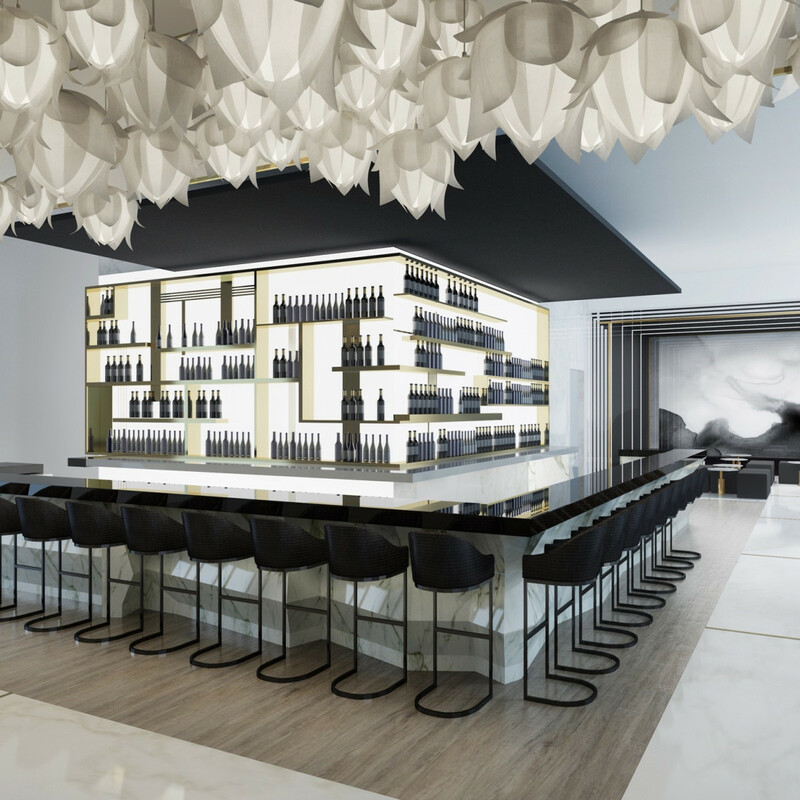 Overall capacity rises to over 200 people, and the space also features a 100-person private dining room. 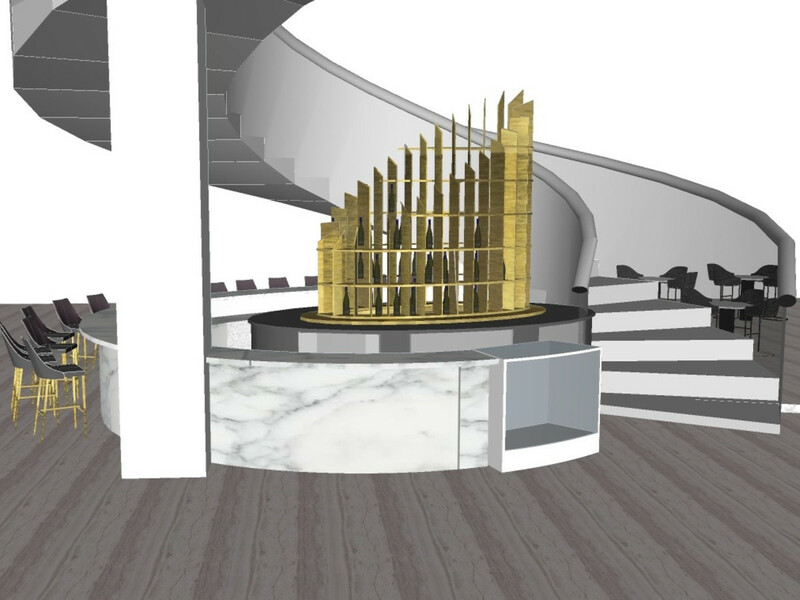 Even the parking will be better thanks to a dedicated elevator from the Galleria's purple lot and valet from Westheimer. 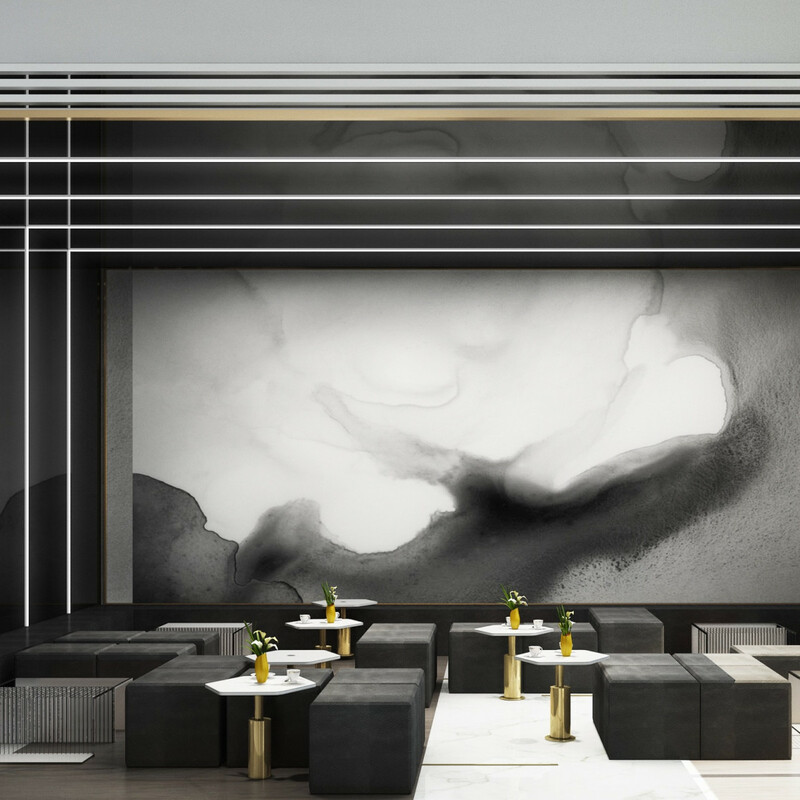 Conceived by Houston designer Nina Magon of Contour Interior Design, the restaurant's interior features a palate of white, black, gray, and brass with mid-century modern pieces that Landmark says will give the space "a one-of-a-kind" look. 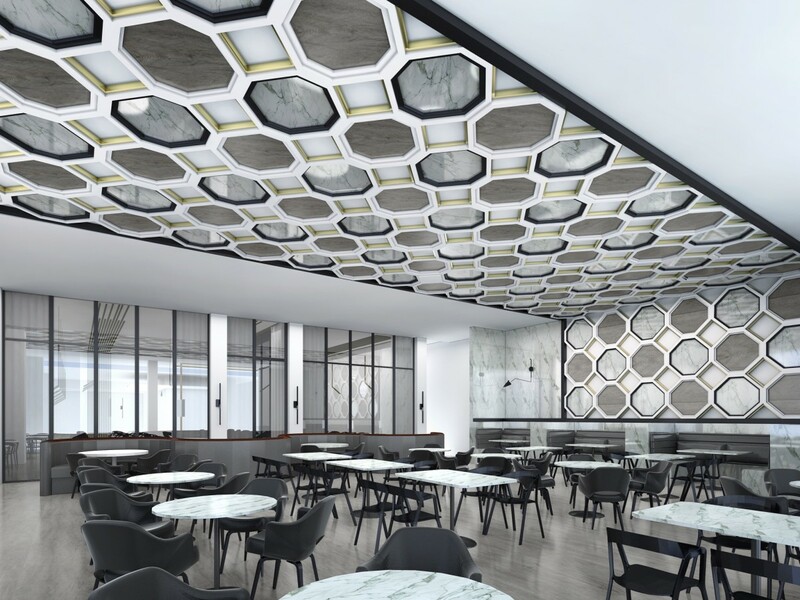 Whether that look is appealing or not may be as controversial as the company's recently shuttered steakhouse Mr. Peeples, but it certainly won't be the same old Edison bulbs and reclaimed wood that dominates much of Houston's restaurant design. 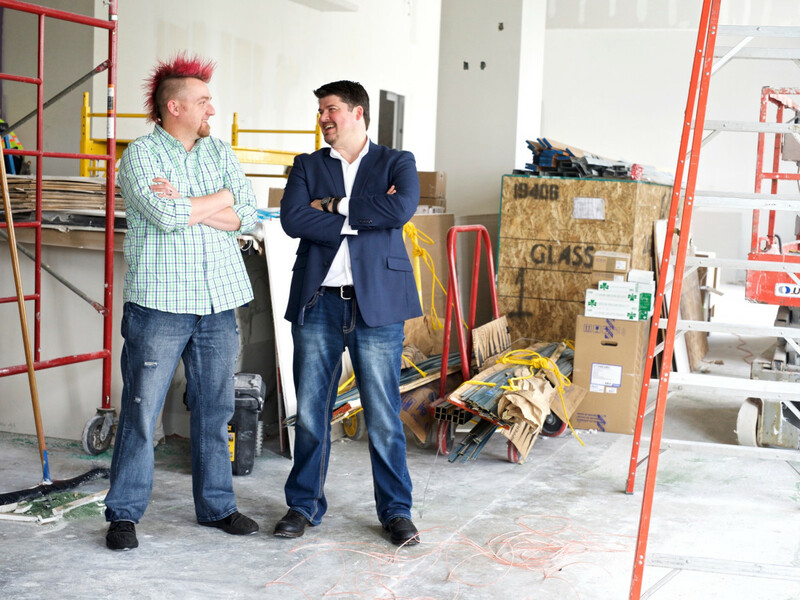 Both executive chef Stefon Rishel and general manager Chad Wherry come to 51Fifteen from the Max's Wine Dive in Fort Worth. 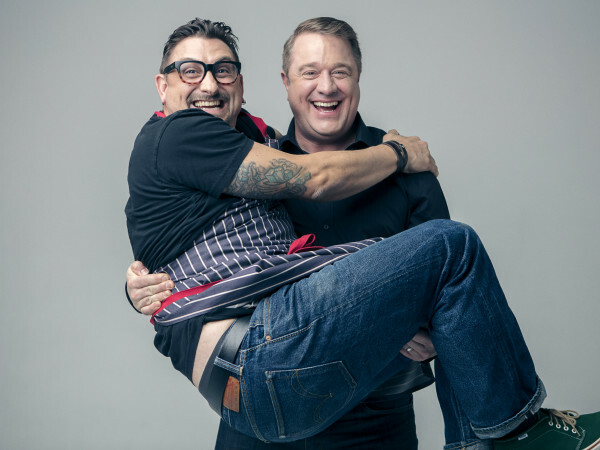 In particular, Rishel brings plenty of acclaim — and his signature pink mohawk — to the role, having won Best Dish at Taste of Fort Worth (2015), as well as Best Comfort Food (2014) and Best Brunch in Fort Worth (2014 and 2015) from Fort Worth, Texas magazine’s Best Of issues. 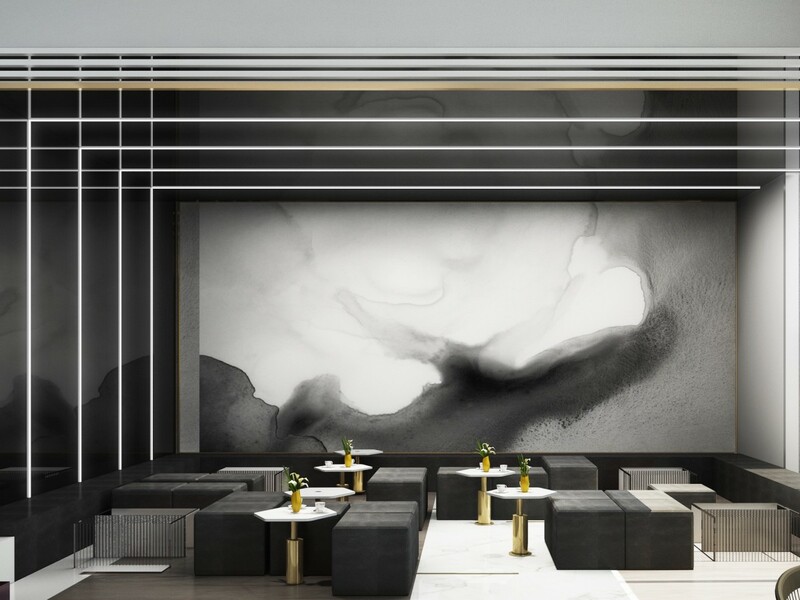 The restaurant describes its menu as "chef-driven . . . reminiscent of Southern European fare" that's made with locally sourced ingredients and is based on Rishel's interest in seafood. Yes, that means it will skip along the continent, incorporating Greek, Italian, French, and Spanish influences. 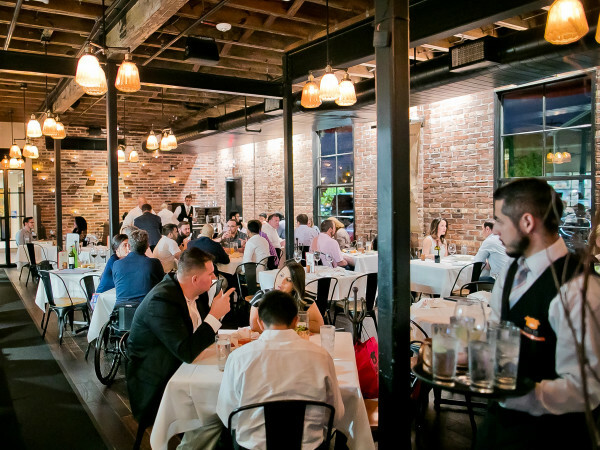 Dishes range from Gulf coast bouillabaisse (made with redfish, Gulf stone crab, and shrimp) to foie gras terrine and seafood towers. Raw oysters with charred cucumber mignonette and baked oysters topped with lacinato kale, pancetta, and manchego may not be conventional, but Rishel promises they'll deliver. 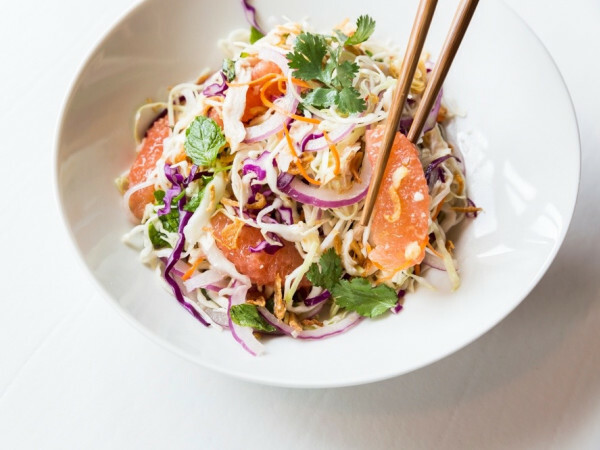 "You’ll see some unconventional items on my menu but at the end of the day, what matters is if the flavor profiles work," he added. That's not all. 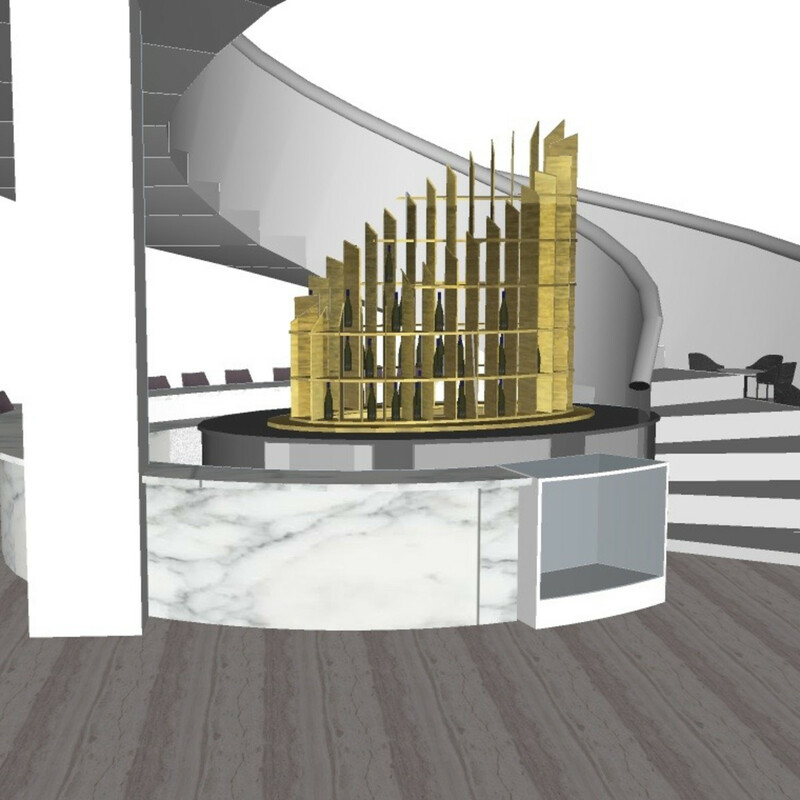 The second-story restaurant will also operate a first floor satellite bar. 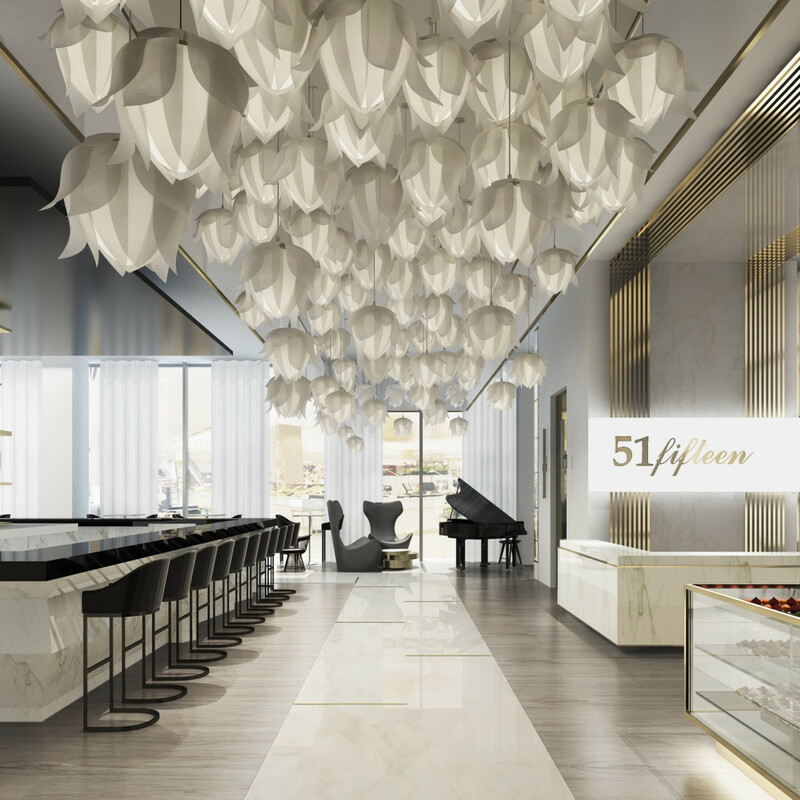 Located at the bottom of a spiral staircase near the women's fragrance counters, the bar will serve coffee and pastries in the morning as well as cocktails, wine, and light bites in afternoon and evening.